Greetings from Moshi, Tanzania, where I am still busy with the fieldwork. Just want to point the dear readers to a new paper, that is currently in Press in “Ecosystem Services”. Titled “The current and future value of nature-based tourism in the Eastern Arc Mountains of Tanzania” the study analyses and gives estimates for the current and future economic value of nature-based tourism in Tanzania. The analysis is based on a dataset including the spatial location of lodgings and visitor estimates and provides predictive outlooks for two different land-use scenarios (no-change, hopeful-future). 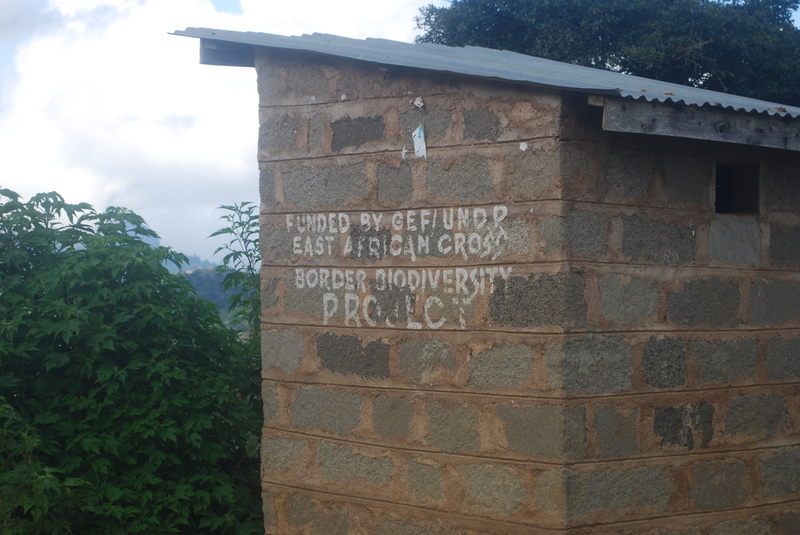 They conclude that eco-tourism in the Tanzanian EAM (Eastern Arc Mountains) can provide, among other values for ecosystem service, substantial revenue in the future if the management effectiveness of protected areas can be improved. Sadly they only included the EAM from Tanzania in their study and thus left out the Taita Hills. 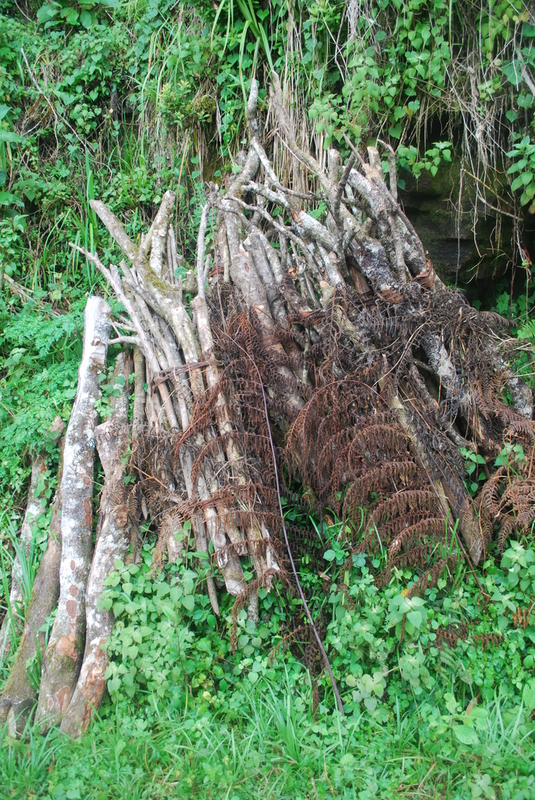 During my stay in Taita I observed multiple disturbances such as fuelwood extractions and larger loggings in the last forest patches of Taita. 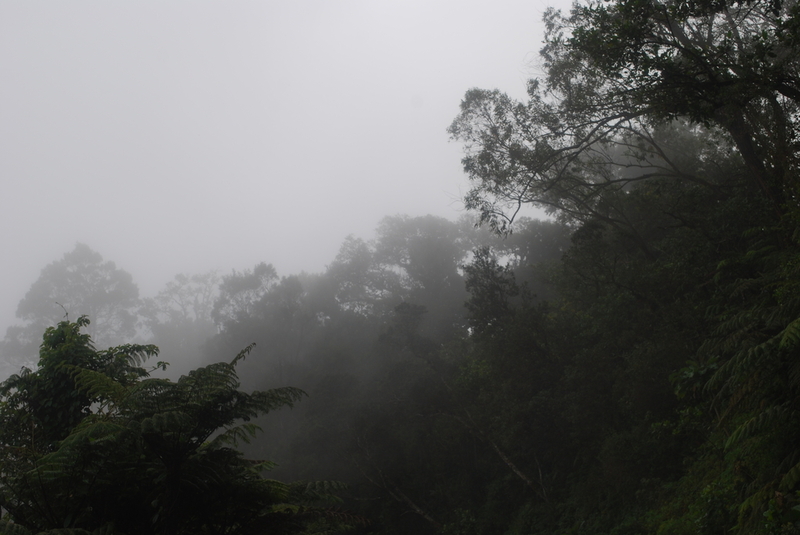 Having multiple endemic bird (Taita Thrush, Taita Apalis, …) and plant species (eg. 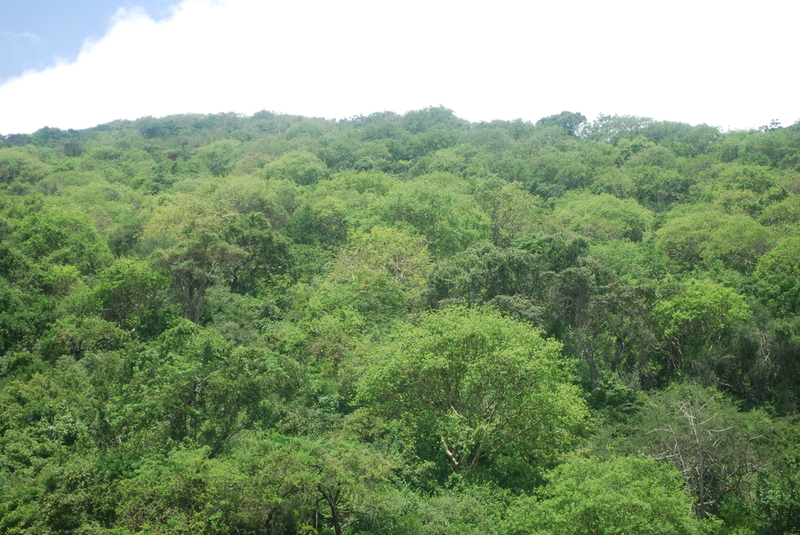 Saintpaulia teitensis) the forests of the Taita hills surely can be considered a part of the renown EAM Biodiversity hotspot. 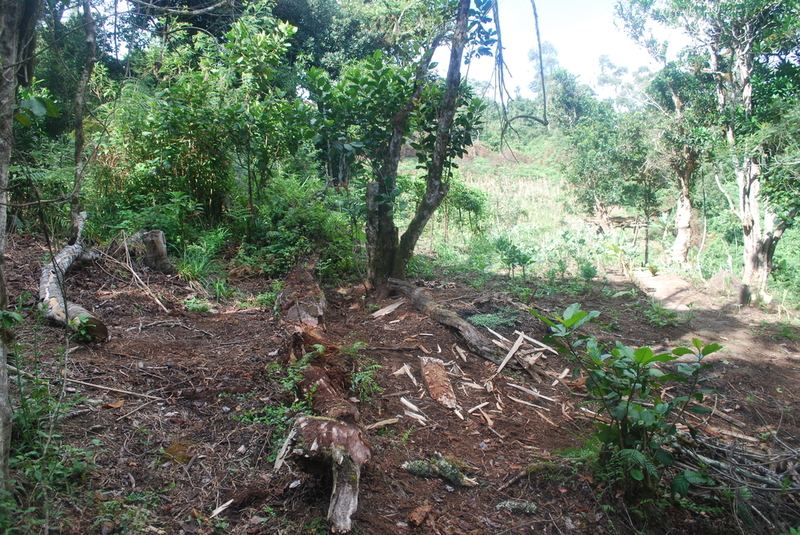 But due to the high population density at Taita there should be more economic opportunities and initiatives, such as the Taita-Taveta Wildlife Forum has been promoting, to increase the support of both local people and government to protect these last forest patches and ensure future connectivity. Recent loggings within parts of Vuria Forest. Anyway, lets hope that this study can back up some arguments in the science-policy dialog with decision makers in Tanzania and abroad. And here are some news from my current field work that is part of my Thesis. After spending some quiet, but exiting days in Nairobi (maybe later more about that) I finally arrived in Wundanyi, Taita Hills, where a substantial part of my work will be conducted along the CHIESA transect. Suited in the coastel area in proximity to Mombasa the Taita Hills are renown for their extraordinary bird diversity and endemic species and as such are considered to be part of the Eastern Arc Mountains Diversity hotspot. 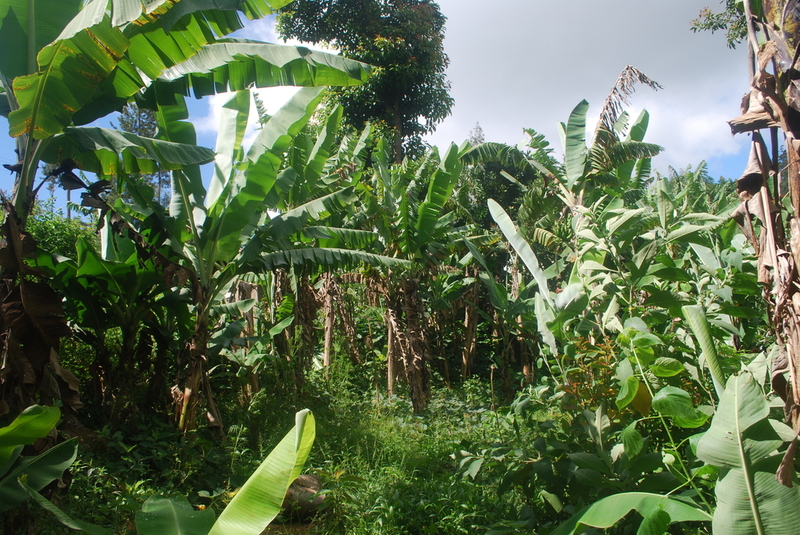 The Taita hills encompass a variety of different land-use forms, but the majority of them surely are tropical homegardens as most of the “Taita” people are subsistence farmers growing crops in the highly fertile soil of the mountain slopes. Besides homegardens there are riverine forests in the valleys, shrubland vegetation in the lower altitudes, exotic tree plantations and of course the remaining indigenous forests remaining on the Taita hills mountain tops. Every last forest part is known well and was traditionally protected by the locals as part of their culture. However in the later centuries the remaining forest area became more and more scarcer and even during my visits in some of the forest fragments with the highest biodiversity value (Chawia, Ngangao) I saw frequent signs of fuelwood and timber extraction. Clearly a lack of funding for biodiversity protection seems to be the problem, but also an economic perspective and opportunities such as ecotourism might enhance locals perception if and how these last forest parts should be protected. My work in the Taita hills is all about birds. Specifically I am conducting avian diversity and abundance assessments along an altitudinal transect encompassing a variety of different land-use systems. 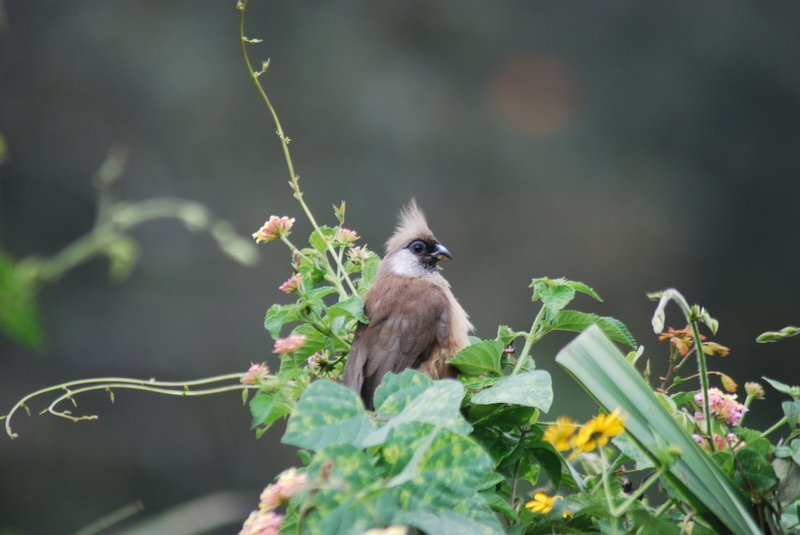 Although avian assessments have been conducted in Taita many times before, they were often restricted to the forest fragments and for instance didn’t look at the bird diversity in homegardens in different altitudes. The resulting data will just be used for my thesis as validation dataset, but I am hoping that it has maybe some value on its own as well. Initial results show that especially the homegarden in Taita support quite a high diversity of birds, which is even similar to levels in the remaining forest fragments (although the community is somewhat different and biotic homogenization is likely on-going). It can be quite challenging to conduct avian research in tropical human-dominated landscapes. Not only do you have to arrange for transport to the specific transect areas and lodging (in my case provided by the University of Helsinki Research station in Wundanyi), but also account for the frequent interruption by children and farmers asking what you are doing. Furthermore it is not an easy task to count birds in for instance a maize or sugarcane plantation due to the limited accessibility and my intention not to damage the farmers crops. Most of the farmers however happily provide access to their land and are very interested in what kind of research this “Mzungu” is doing on their farm. From my own experience here I can tell that the Taita people are very kind and it is a pleasure to work with them on their land. They are very respectful and even walking around late at night or very early in the morning seems to be no problem here (in contrast to for instance Nairobi or Mombasa). In the end my sampling goes on quite well and much better than I expected. Although it is technically raining season and long heavy rains can be expected every day, the mornings were exceptionally dry and weather was mostly favourable for ornithological research. Generally this time of the year in East Africa is especially interesting for bird assessments as many local bird species are in their breeding plumage and nesting, but also because European migrants are often still around or on their way back to Europe (for instance I saw and heard an European Willow Warbler some days ago). Lets see what else the next weeks will have for be in terms of avian diversity. The previously reported Global Forest data from Hansen et al. (2013) is now finally up for download. Just now a new webportal promoting the protection of roadless areas around the world opened up. Featuring a road alert ticker, a very entertaining short clip and more news about current deforestations. Although in my opinion roads are merely a proxy for anthropogenic (agricultural) development, but they are certainly a good indicator of follow up development and literally all large-scale deforestations in the last decade are accompanied by road construction. However this mostly matters for forests and large scales. Poachers can enter a forest without cars, invasive species can spread without roads within naturally disturbed areas in forests, pollution can affect it through water, soil and air and so on. So keep in mind that just because there is no road it doesn’t mean that a particular area counts as well protected wilderness (what does this word mean anyway in the ‘Anthropocene’). Nevertheless, forest without roads are certainly worth protecting and they should be kept roadless! Just some moments ago (on the 15th of November 2013, so not yet in Europe 😀 ) a new very interesting paper came out in Science presenting a new High-resolution dataset of global forest loss in the last decade. It is written by the authors of already existing widely used datasets, such as GLCF and CARPE, in corporation with Google. At the bottom you can find a Data download link, which makes the whole thing very interesting for follow-up research! Check it out! EDIT: Apparently download is not yet available for the public. Will keep you updated! it’s already late at night and after nearly 4 hours of confused crap coding i finally managed to implement a new amazing feature in my QGIS plugin LecoS. 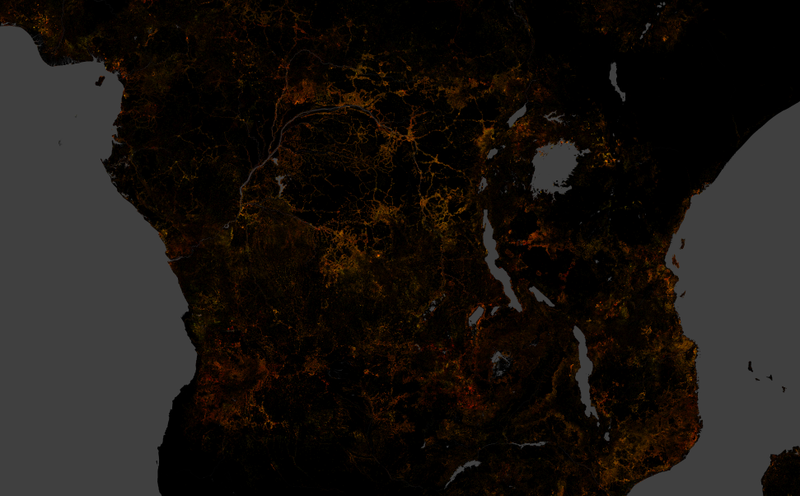 Up to now it was only possible to calculate the landcover for a single raster. However most people usually want to have the values for their respective plots, points of interests, sites, … . For this reason i coded the new Polygon overlay tool, which could extract raster values and save them directly to the vector layers attribute table. Here is an example of the new features with some of the data mentioned in my previous post about the horrific Herakles farm palm oil project directly in the vicinity of some of the last and oldest protected rainforests belonging to a biodiversity hotspot, the Guinean Forests of West Africa. Quite often during the campaign emerged the question how much of the protected area is still covered by mature forest trees. 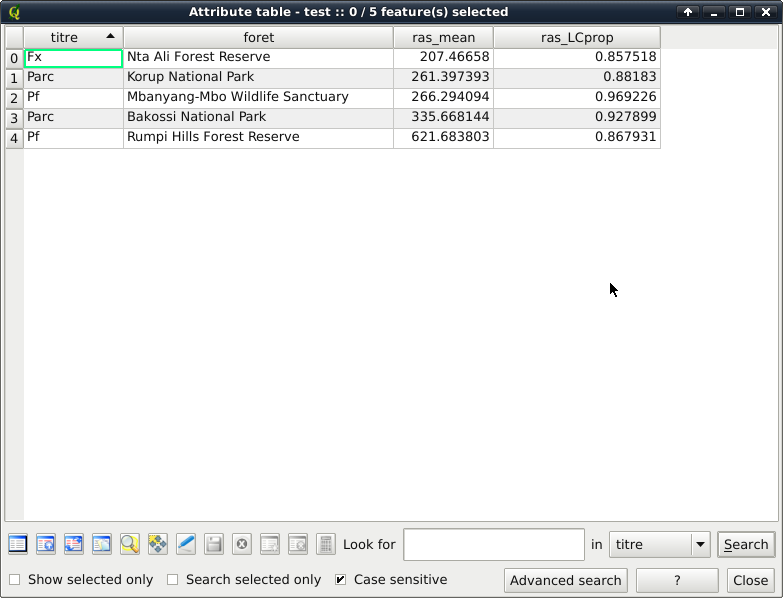 I want to resolve this question (in a admittedly very imprecise way) and downloaded a classified raster from the CARPE project, which displays the forest cover in the region. I furthermore added the shapes of the 4 largest protected areas in the vicinity. Now i open the new Batch polygon overlay tool in the LecoS menu (Menubar -> raster) and choose the options as displayed below. It now calculates the total proportion of the first class (mature tree cover >= 60%) for each vector feature (national park). Results are added directly to the shapes attribute table. SRTM DEM for the vicinity of Korup NP. I’ve downloaded a SRTM Digital Elevation Model for the vicinity of Korup National park. Like before i added the geometries of all major protected areas in the area. 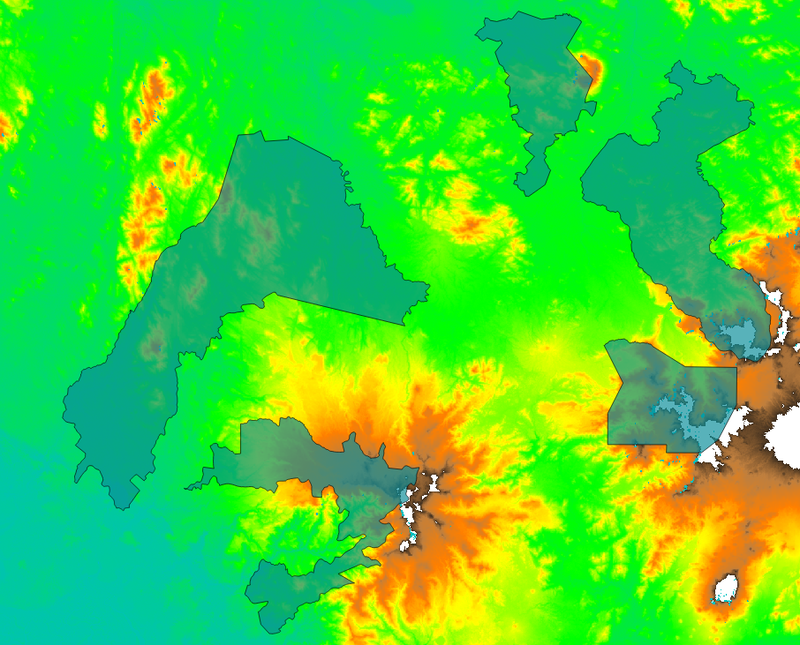 Now i simply want to extract the mean Height from the SRTM DEM for each protected Area. This could be achieved by starting the “Landcover polygon overlay tool”, select the raster and vector layer (beforehand make sure that they have the same spatial projection) and then choose NO as answer in the central combobox. Choose “Mean of Raster values” and click on OK. The Overlay tool will directly add the calculated values to the attribute table for each vector feature. However QGis doesn’t update the attribute table for some reason and therefore you have to load in your shapefile to the QGis layer browser again. Don’t worry, the values are most likely being saved in the attribute table. The column name is always a combination of the ras_ + the used method, ergo LCprop for Landcover Proportion (to keep it short). On the GIS-Stackexchange forum are dozens of questions (,,,) regarding this topic and I hope that this update will come in handy to calculate something like the sum or the mean of all the values from a underlying raster shape per polygon feature. If you have a point-layer you should use the very good Point-Sampling Plugin instead, which is also available in QGis plugin downloader. 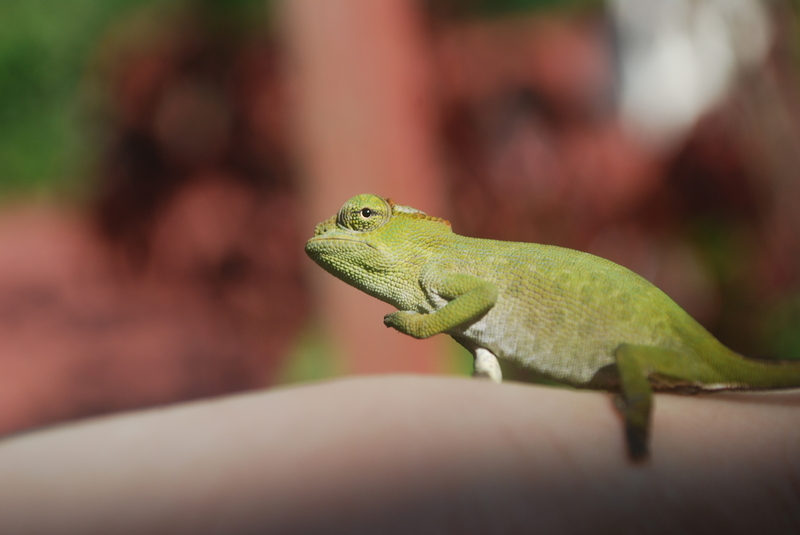 This blog is also about Conservation projects and campaigns and i always wanted to write a little post about the campaign i am involved in since the very start. 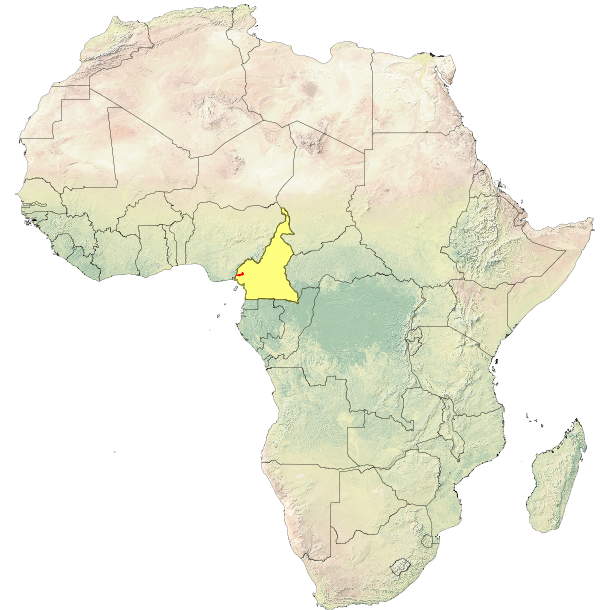 As part of the SAVE Wildlife Conservation Fund i engage myself against a huge palmoil-plantation in south west Cameroon. A big American concern tries to establish a 70.000 hectare big plantation right in the middle of several world-famous national parks such as the Korup National Park.